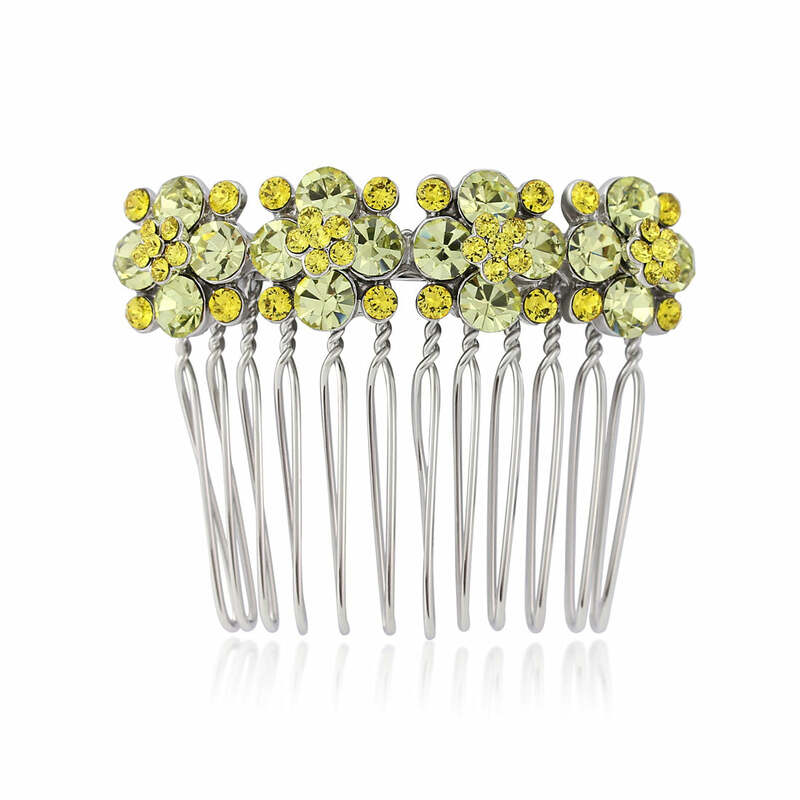 Glistening with bursts of lemon and yellow crystals, this chic hair comb is a retro delight. A divine garland of lemon and yellow flowers, our Delicate Sunshine Hair Comb instantly conjures up thoughts of glorious sunny days. The epitome of retro style, this pretty ‘piece’ adorns a chic ponytail or half-up style with a look worthy of a 1950s Rockabilly pin-up. Play up its vintage influences by teaming with cute ditsy prints or a Sandra-Dee style prom dress. If you’re opting for a yellow or lemon wedding scheme, Delicate Sunshine is the perfect bridesmaid hair accessory to beautifully enhance your chosen shade. Whether your girls are wearing a sunny-hued dress or they’re simply carrying a posy of citrus tone blooms, this darling hair comb will add a burst of colour to strikingly bring your special day theme together. For a more dramatic style, our coordinating jewellery in this collection will let you mix n match until your heart’s content!